T22 Car Tracker enables you to know always where your vehicles are and is easy to install to any car, truck or heavy vehicle. It can be installed fully hidden and powered from vehicle's battery. T22 Car Tracking Device has special version for each country using local language andlocal TLD landmarks. There are no monthly or annual fees; the user only pays the normal price of the SMS messages sent. "Your vehicles are important to us and Tramigo is committed to quality. All Tramigo T22 Series Products have 24 months International Warranty." 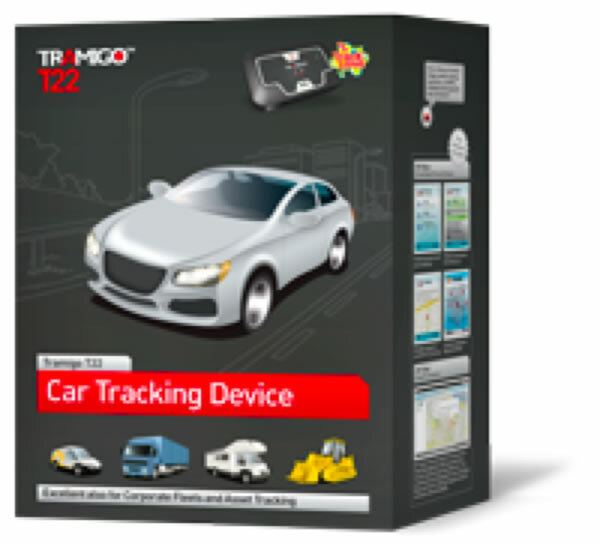 Tramigo T22 car tracking device combines the GPS (Global Positioning System), GSM (mobile network) and geographical information (TLD Tramigo Landmark Data) into one device. Tramigo T22 uses the GPS satellites to position itself getting very accurate positioning, then it finds the closest TLD landmark to that point from its internal memory and sends the information across to any authorized mobile phone as a text message using the GSM network. Tramigo is commanded with simple text message commands; sending word Find or letter F to your Tramigo T22 you will get the actual location of your Tramigo tracking device back to your phone as a message. Simple, intelligent and very secure. You may click here to view a live demo of how you can track your asset. You may also click here to view our TourTrax Presentation. Copyright (c) 2011-2018 pek solutions limited. All rights reserved. powered by solution one llc.